ONCHAN, Isle of Man – August 17, 2017 – Millionaires Island’s million dollar progressive jackpot has struck twice in consecutive days to pay out two players close to $3.8 million, including a PokerStars Casino $2.4m record payout. Millionaires Island is a proprietary slot exclusive to PokerStars Casino, which is part of The Stars Group Inc. (Nasdaq: TSG; TSX: TSGI). These two jackpots increases the number of millionaires residing on Millionaires Island to four since the game launched in December last year and also takes the total number of millionaires made this year at PokerStars Casino to five. The largest amount ever to be paid out by the progressive jackpot Millionaires Island – an all-time record at PokerStars Casino - is a staggering $2,439,369.27 and was won by a Belarusian player on July 26. The jackpot winner, who chose not to be identified, had only logged on to play Millionaires Island for the first time three days before making the click of their life. Talking of a gut feeling they would hit a big pay check, they said: “I knew that anyone can win the jackpot and truly believed that I will win it”. The restaurant owner has a keen interest in poker and has said they’ll be buying themselves into the action at PokerStars Championship Barcelona with some of their prize money. They plan to spend the money on helping family and friends. PokerStars Casino takes pride in being the most innovative online casino in the industry and has laid Millionaires Island as its cornerstone. PokerStars Casino is the only operator that offers a proprietary $/£/€1 million or greater jackpot. Other achievements include picking up the Gaming Intelligence Casino Operator of the Year award and becoming the market leader among online casinos in Italy after just two years in the market. 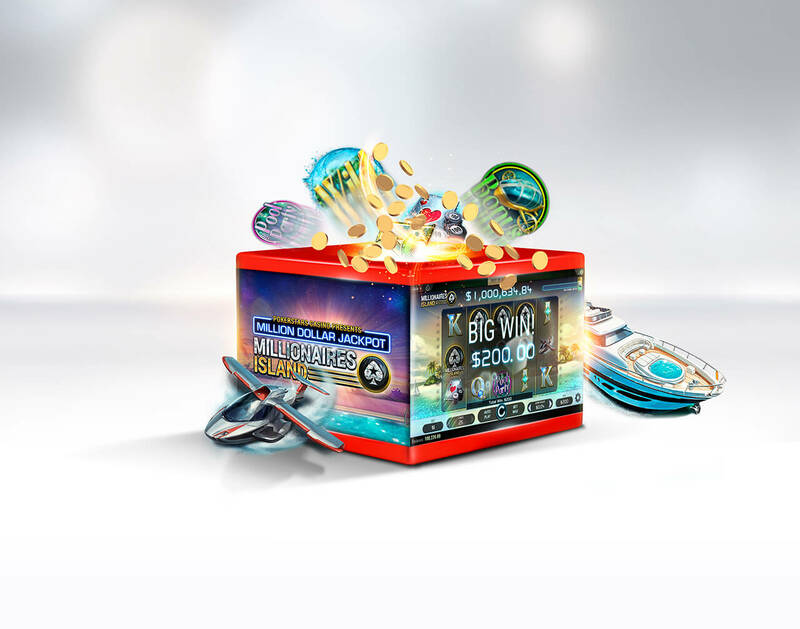 Prominent slots such as Mega Fortune, FairyTale Legends: Red Riding Hood and The Wild Chase are just some of the newest, biggest and most popular games that have launched on PokerStars Casino, which is among the the world’s fastest growing online casinos. PokerStars Casino is available on web, downloadable desktop client and mobile app.